Acupuncture is one of the most commonly used art of healing in the world, beginning in ancient China about 3000 to 5000 years ago. Since its introduction to the US in the 70s, its popularity has grown exponentially. In 1993, after just 20 years since its debut, FDA estimated Americans made about 12 million visits to acupuncture clinics spending more than half a billion dollars a year. Nowadays, acupuncture is considered to be a part of the mainstream medicine by many, thanks to numerous scientific researches for its efficacy. As a matter of fact, acupuncture is the most referred specialty among complementary and alternative medical fields by medical doctors. According to one survey, more than half of the physicians (59%) believed that acupuncture can be effective, compared to 48% for chiropractic, 16% for homeopathy and mere 10% for aromatherapy. 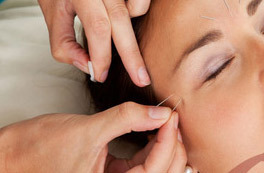 Acupuncturists insert thin, hair-like needles into specific points on the skin. Points are selected depending on what the practitioner is trying to achieve – points along meridians are used to restore energy balance or to effect diseased organs, points on specific nerve pathways are used to stimulate the involved nerves or points on certain muscle groups are used to elicit an anti-inflammatory response in the inflamed tissues. Acupuncture needles were classified as “medical device” by the FDA in 1997. In the same year, National Institute of Health endorsed acupuncture for the treatment of a variety of conditions such as post-operative pain, tennis elbow, carpal tunnel syndrome and various other conditions. The World Health Organization, public health division of the United Nations, recognized almost 50 conditions treatable with acupuncture which include neuro-musculoskeletal conditions, emotional and psychological disorders, gastrointestinal disorders, circulatory disorders, respiratory disorders and addiction to drugs and alcohol. Acupuncture triggers the nervous system to release neurotransmitters such as dopamine, that transmit nerve impulses to the brain. Acupuncture stimulates the endocrine system to release endorphin, a natural pain killer. Acupuncture reduces the level of cortisol to reduce inflammation. Acupuncture affects the electrical currents of the body. Acupuncture acts on the autonomic nervous system. The traditional theory of Chinese medicine is based on yin-yang and five element theory. There are more than 2000 acupuncture points in the human body, and 361 of those are designated as ‘standard points’ and lie on 12 main and 8 extra meridians. Meridians conduct life energy, or qi and enables communication between the outside and the internal environment and helps maintain the homeostasis. While most acupuncturists use a standard method to locate the points, experienced qi gong practitioners can actually feel the qi and can find more accurate point locations which vary slightly from person to person. 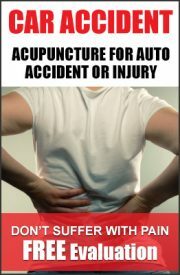 To practice acupuncture, you need a license issued by the state. There are three groups of professionals who can perform acupuncture legally. Practitioners of Oriental Medicine licensed acupuncturists and certified acupuncturists. Oriental Medicine practitioners may prescribe herbs in addition to acupuncture. To get a license, you have to take 3 to 4 years of post-graduate training which includes oriental medicine theory, anatomy, and physiology, pathology, natural science, orthopedic, nutrition, manual therapy and other related courses plus 2 years of clinical training. To get certified in herbology, you need additional 1 – 2 years of training in herbology. Certified acupuncturists are usually medical doctors who take 150 – 300 hours of acupuncture seminars. Acupuncture is a specialty and you don’t need doctor’s referral to see an acupuncturist. In addition to acupuncture, acupuncturists often combine other treatments such as moxibustion, cupping, guasha or Chinese herbs to enhance the therapeutic effect. Also, he or she may use electricity on the needles called electro-acupuncture, or use laser on acupuncture points called laser acupuncture or light acupuncture. Other modalities may be added such as electric stimulation, infrared heat therapy or laser therapy. Many acupuncturists also go through intensive manual therapy training usually focusing on tuina and/or acupressure. Acupuncture is safe, effective and also usually costs much less compared to other conventional therapies. It’s one of the best methods to balance your body, physically and emotionally. I’m confident that you will benefit greatly by taking the step into the world of holistic medicine either as complementary or alternative care to the conventional medicine, or as a preventive measure. With more than half century of combined experience in acupuncture, qi gong practice and herbal medicine, Mr. Chang will guide you through this exciting journey. Please call or send us an email if you have any questions.